Hello there! I’m an children’s illustrator / author living in Lincolnshire, UK. 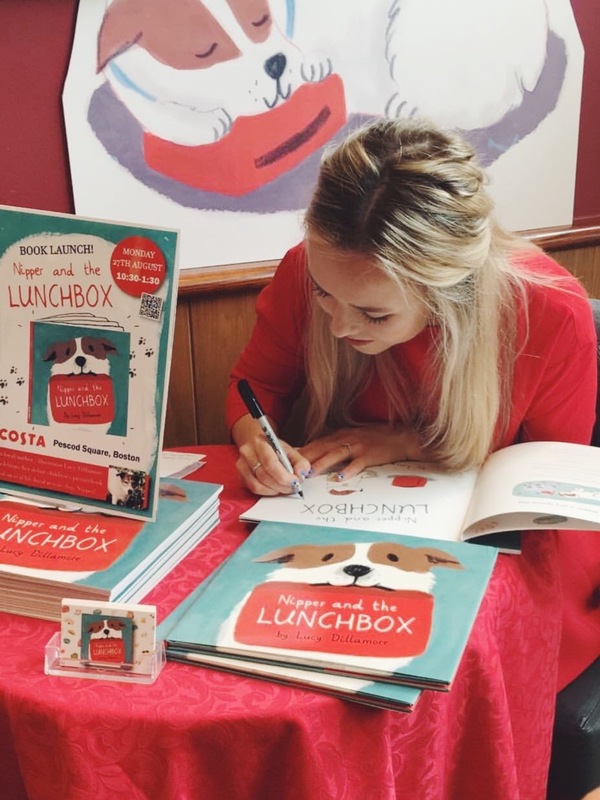 My debut picture book ‘Nipper and the Lunchbox’ (Child’s Play) was published in the UK, USA and Australia in 2018. The book also has two co-editions (danish and dutch) and features in the 2018 Peters’ calendar. In 2019 it was nominated for the ‘Read it Again!’ award, Cambridgeshire Libraries’ children’s picture book award. In 2014 I achieved a first class degree in Ba(Hons) Illustration at Norwich University of the Arts. From a young age have always loved drawing and in that same year I decided to follow my passion for children’s books and apply for a place on the prestigious MA Children’s Book Illustration course at Cambridge School of Art where I graduated from in 2017. My work is full of painterly shape and colour bought together by drawn line. I often work in gouache, watercolour paint and pencils and ink. I love creating characters (especially animals!) and conveying gentle humour. In my spare time I love travelling, instagramming, watching 80’s movies and going for walks around the lovely Lincolnshire countryside. I am represented by Caroline Walsh at David Higham Associates.